Fresh off of a record-breaking 40th winter ski season celebration, Snowshoe Mountain today announced new additional programs and events will be added this summer to continue to draw in families across the Mid-Atlantic. More live music concerts, consumer festivals and bike racing events have been added to the resort’s summer calendar. Snowshoe is also launching the Family Mountain Adventure Program, a 3-day camp for children and teens, and a 3-day resort vacation for the parents. The program was introduced as a way to offer a fully planned vacation option for the busy parents who have shared with Snowshoe that they struggle the most when it comes to finding activities that both their younger and teenage children will both enjoy. The Family Mountain Adventure Program allows children ages 4-17 to build a 3-day camp-style itinerary of activities that are age appropriate for them. They can choose from ziplining, canoeing, archery, sporting clays, rock climbing, stand up paddle boarding, crafts and other activities. The program also groups children and teens within their own age group so they can connect with others close to their age. In return, adults can build their own 3 day resort-style vacation choosing from various activities including off-road adventures, golfing, mountain biking, geocache hunts, concerts, Segway tours and more. “At the end of each day parents and their kids can come back together to enjoy s’mores and campfires and live music or they can continue to take in nighttime age-appropriate activities like Kids Night Out and concerts,” Dekema details. The Family Mountain Adventure Program includes 3 nights of lodging and all the activities and will be offered June – September. 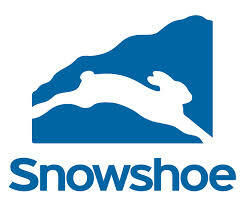 There are also similar programs for Couples or individuals, which also include spa treatments at Snowshoe’s new Spa. Additionally, Snowshoe has added several events, live concerts and festivals for day-trippers and guests. Live lumberjack competitions take place all weekend long. Come watch athletes compete in the original extreme sport. Make this Fathers Day one to remember. America’s premier off-road racing series returns to Snowshoe. This is the toughest, most spectacular and most unique race on the whole GNCC tour. 2 days of racing will fill the mountain with ATVs and bikes. We have a great weekend of downhill mountain bike racing coming at ya. Descend 1500 vertical feet on the Western Territory with 2 separate courses. Race 1 will be on Saturday and Race 2 will be on Sunday. This 2-day, co-ed camp is designed for beginner & intermediate levels. It will focus on the fundamental elements of downhill & freeride disciplines. Experience the traditions of yesterday and enjoy the talents of today as we celebrate the music, arts and culture of Appalachia. Mountaintop Fireworks will also be lighting up the night sky. This 2-day, co-ed camp will focus on intermediate to advanced skills & techniques for those who’ve already mastered the basics of downhill & freeride disciplines. The mountain will be heating up as cooks vie for cash prizes and the best recipe. Join us for Village games, chili & salsa tasting and live music at one of most iconic summer events. USA Cycling National Pro GRT series returns to Snowshoe. Sunday the DH race will be held on the world class slopes of the Western Territory. pro you’ll have a great time progressing at this 2-day downhill mountain bike camp. Take the best craft brewers in West Virginia and combine them with great food, live music and amazing vistas from the top of the mountain. It just doesn’t get much better than that. You don’t have to be present to win, but let’s face it – it is way more fun that way. Cash and prizes valued at over $250,000 will be raffled off. Side raffles, free food and drink will be available throughout the day. A downhill endurance mountain bike event as big as Mount Everest. This race tests the mental and physical capability of every rider. Compete solo, duo, or as a team to complete 20 laps on the Western Territory, totaling 30,000 vertical feet. Celebrate Labor Day weekend with us and soak up the last moments of the summer. It’s almost time to say goodbye to fall and welcome in winter with open arms. Help us celebrate the changing seasons with live music, bike games, Village activities and so much more. We have a great weekend of downhill mountain bike racing. Descend 1500 vertical feet on the Western Territory. This race ison Saturday and is the final race of the series. A mountain bike race hosted by Snowshoe Mountain and the final race in the West Virginia Mountain Bike Series to determine the series champion. There will be several courses of cross country trails that take you through the spectacular forests, and on single-track trails around Snowshoe Mountain. For more information regarding Snowshoe events, races or the Mountain Family Adventure Program, visit www.snowshoemtn.com or call 877-441-4386.